American Systems has secured a potential five-year, $30.3 million contract to provide specialized engineering and technical services to help the Naval Air Systems Command develop and operate the U.S. Navy‘s air vehicle dynamic models and simulations. The company said Monday it will support air vehicle dynamic simulations and architecture; collision avoidance systems algorithm design; engineering analysis; aircraft trainer devices; and Defense Department manned and unmanned aircraft under the indefinite-delivery/indefinite-quantity contract. 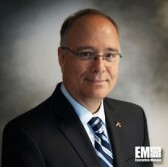 American Systems President and CEO Peter Smith, an inductee into Executive Mosaic‘s Wash100 for 2017, said the company will continue to help the Naval Air Warfare Center Aircraft Division engineer lifesaving technologies. The company has supported specialized DoD air vehicles over the past three decades. Contract work will occur through NAVAIR’s 4.3 Air Vehicle Engineering Department in Patuxent River, Maryland.